location on http://checkstyle.sourceforge.net/ is not secure. All checkstyle version below 8.18 are not very secure, see details at #6474. I will move DTDs to another folder to let user experience failure and find this issue as request to update configuration. If you can not update, please write a comment, I might return DTDs to original place to give people some time to migrate. DTDs from http://puppycrawl.com/dtds/ we're removed by Oliver today. and `http://puppycrawl.com/` in our config file of checkstyle. Let's update the addresses of DTD files correspondingly. DTDs from http://checkstyle.sourceforge.net were hidden today. 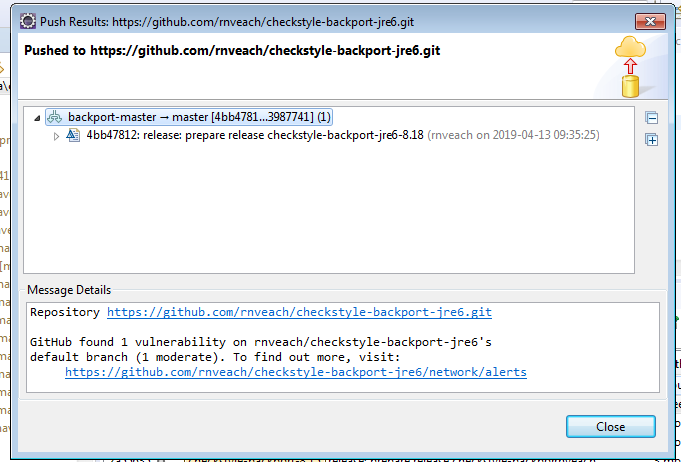 If somebody experienced a problem, please update to checkstyle version above 8.10 or write a comment and explain your issue with inability to upgrade. FYI The sample configs all still have the old DTD specified in them. @ndtreviv , please give me direct link or provide a bit more details as we have a lot of places with configs. My bad...I've gone back to re-find them and I can't anymore. I'm probably going mad. Sorry about that. Not finding any example configs under "http://checkstyle.sourceforge. Just other miscellaneous places. links to reports and to old websites should stay on sourceforge for now. reports will always stay on sourcefore. old web sites we might eventually move to github.io if not damage performance of deployment, or we change release/deployment process. @romani github closed the issue with the last merge, is there anything left for this issue? All planned work is done. 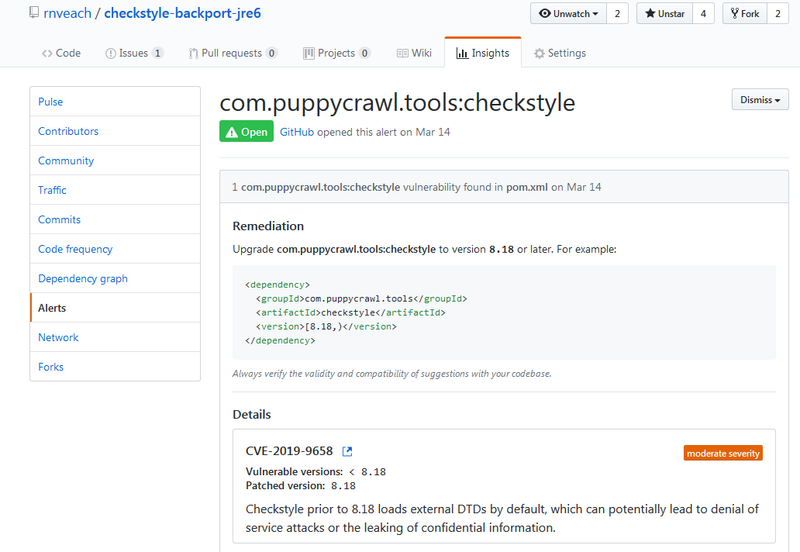 Checkstyle DTDs on puppycrawl site were deprecated some time ago and are now removed. - Change configuration DTD link to "https://checkstyle.org/dtds/configuration_1_3.dtd"
- Change suppressions DTD link to "https://checkstyle.org/dtds/suppressions_1_2.dtd"
@romani @rnveach Here is the CVE that was assigned. Just a heads up, the description they've put on this is far more general than the description I sent them, however, I don't think it's strictly inaccurate. You may want to consider changing the title of this issue (or some issue) to contain the CVE number for easy reference. and http://puppycrawl.com/ in our config file of checkstyle. let's also update the DTD file to the latest version. assumes there is only one type of sidebar view. the authorship and zoomin view using the same mechanism. the right tab in the sidebar. handles the emitted message using the corresponding `updateTabXXX()`. first be able to select part of the ramp to focus on. "zoomed-in" view to display the relevant commits. way of preventing user from highlighting on multiple ramp charts. E.g. display the commits in the "zoomin" tab. support reuse in the "zoomin" tab view. refer to the same thing, the result after running analysis. instead, as standardized in #220. Repos are processed sequentially, one at a time. easily be shared with other people. of the code view were part of the state being saved. also encode any opened code view into the url. analysis over the code written by authors of the repositories. @romani @rnveach This DTD is still available and should be removed. dtds folder is removed from checkstyle.sourceforge.net, .ci/copy-site-to-sourceforge.sh was updated to remove such folder automatically. This is more informational that I didn't know. When you work with opensource on github and do a push to a repo you own, it will report these CVEs to you on a push. I use eclipse for my pushes. And they even have a URL to list all these vunerabilities.